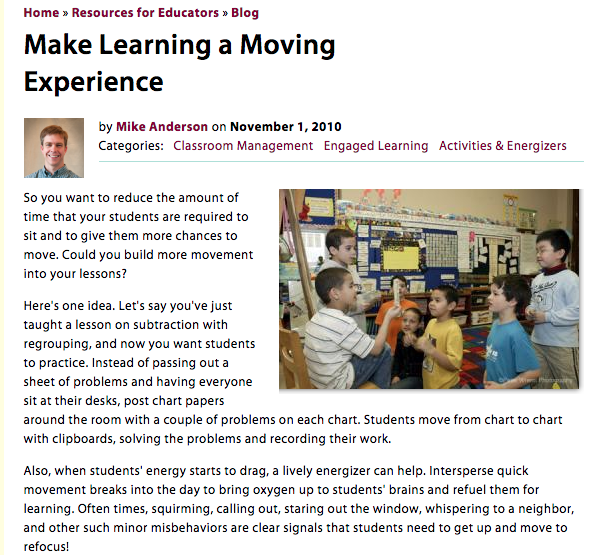 So you want to reduce the amount of time that your students are required to sit and to give them more chances to move. 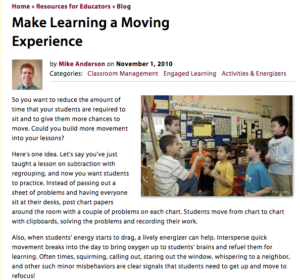 Could you build more movement into your lessons? Here’s one idea. Let’s say you’ve just taught a lesson on subtraction with regrouping, and now you want students to practice. Instead of passing out a sheet of problems and having everyone sit at their desks, post chart papers around the room with a couple of problems on each chart. Students move from chart to chart with clipboards, solving the problems and recording their work. Also, when students’ energy starts to drag, a lively energizer can help. 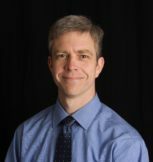 Intersperse quick movement breaks into the day to bring oxygen up to students’ brains and refuel them for learning. Often times, squirming, calling out, staring out the window, whispering to a neighbor, and other such minor misbehaviors are clear signals that students need to get up and move to refocus!